ISLAMABAD: Iranian President Hassan Rouhani rejected the claims that the issue of Indian spy agency’s involvement in Pakistan was discussed during his meeting with the country’s leadership, DawnNews reported. President Rouhani said this while addressing a press conference in the federal capital before his return on Saturday. He was replying to a question regarding the claims made earlier by the Pakistani government about discussing the issue of Research and Analysis Wing's (RAW) involvement in Pakistan's internal affairs with the Iranian president. During the meetings, he said, the two sides held wide ranging discussions for cooperation in the areas of trade, economy and energy as well as the regional and international issues of mutual interest. The director general of Inter-Services Public Relations (ISPR), Lt Gen Asim Bajwa, shared the text of General Raheel Sharif’s meeting with the Iranian president. "There is one concern that RAW is involved in Pakistan, especially in Balochistan, and sometimes it also uses the soil of our brother country Iran," read the text of meeting shared by Bajwa. During the meeting with the Iranian president, Gen Raheel reportedly asked Rouhani to tell them [RAW] that “they should stop these activities and allow Pakistan to achieve stability”, Bajwa tweeted. Earlier, the military's media wing had claimed that General Raheel Sharif discussed the issue of RAW's involvement in Pakistan's internal affairs with the Iranian president. The army chief while highlighting the challenges being faced by Pakistan, discussed the alleged involvement of RAW in Pakistani affairs, especially in Balochistan, the ISPR statement had claimed. About Iran-Pakistan gas pipeline, President Rouhani said Iran had almost completed the work on its side of border on the pipeline and would be in a position to provide gas to Pakistan in a few months. “It was now up to Pakistan to initiate work on its side,” he added. He said Iran could meet all the energy needs of Pakistan. The country was already selling 1,000MW electricity to Pakistan, which could be increased up to 3,000 MW. Rouhani said Iran was also interested to have connectivity between Gawadar and Chahbahar seaports through roads and shipping lines for a win-win situation to both the countries. We want business and friendship but not at the cost of our sovereignty. Well.. truth has come out. Period. If india is involved in Balouchistan, what Iran has to do. We have to be aware of our internal security. Nobody wants to loose Indian market...afterall size does matter. The RAW issue was discussed, but Iran wants it kept secret and have agreed stop Indian RAW using Iran territory for subversion in Pakistan. Iranians are very smart. @Rohit what's discussed in closed doors , is kept in closed doors. But see what happens to RAW activities in Iran from now on. Iran and Afghanistan are more dangerous to Pakistan, these two countries are hurting us more in disguise. We must treat them accordingly. It is shame on our Foreign ministry to goof up at such critical stage. Now we lost the big Iranian market which is opening up fir the whole world. Being their neighbour we will be empty-handed. Nothing but sheer stupidity. A diplomatic stance from Rouhani, if they discussed that issue he will deny. on the part of pakistan it is very foolish to speak of the issue so early. @Mehtab Really, Indians are falling from sky into Baluchistan. Pakistan cannot trust Iran and Afghanistan if we want to take care of security and sovereignty. @zalmay khan Pakistan cannot trust Iran - never been a friend in need. Iran has cleared its position! India is the king that no body seems want to upset. Iran is the first country that recognized Pakistan, Afghanistan being the last. In 1965 and 71 wars, PAF used Iran's airports to keep our planes safe. Unfortunately with the beginning of Zia's time, Pakistan and Iran have drifted apart. Also Pakistan being included in an alliance (without Pakistan's prior knowledge) that does not include any Shia country does not help. 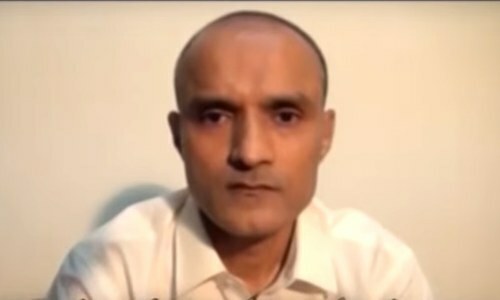 Pakistani government should provide proofs about the activities of the captured spy over and above a confession which can always be denied as forced and then request Iran for assistance at a diplomatic level. It is highly likely that the spy ring was/is operating without the knowledge of Iran government. it was from ISPR that the General sab has discussed the spy issue with Rouhani not from foreign office. Failed Pakistani diplomacy highlighting this cheap issue on a very critical time. The bottom line is Iran knows who stood by them during their years of isolation. Now eagerly awaiting President Rouhani in India to do some real business. What was that? He couldn't even say that he will not allow his territory to be used against anybody? Iran is a mature and sensible country with smart people in charge of affairs.They don't announce policy affairs on twitter and talk shows. @zalmay khan : It is Afghanistan that is where RAW is coming from. Iran has a walled border. They paid and constructed the gas pipeline costing over 11 million US dollars. @Bahubali : Its not about Indian market. Its about ground facts. Iran has closed its borders by created massive walls. It is Afghanistan which has open borders with Pakistan and that is where all the trouble stems from, including RAW or other agencies. 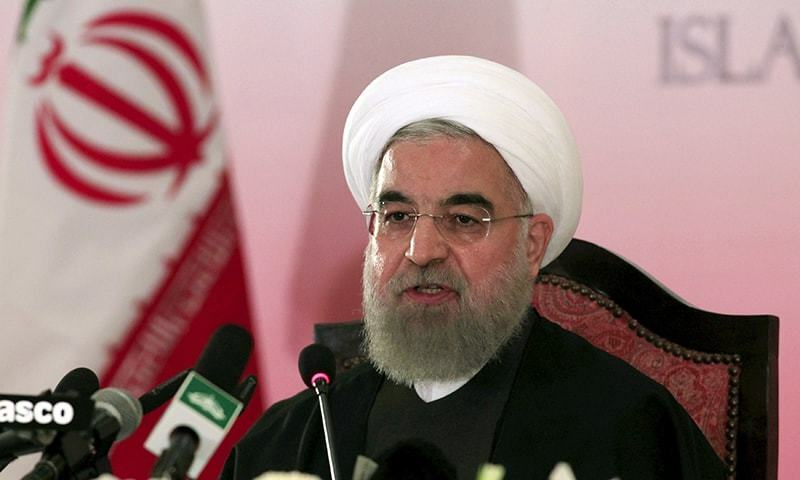 President Rouhani says Indian RAW agent using Iran's territory for launching terrorism in Pakistan was not discussed with Prime Minister Nawaz Sharif? Mr. President, surely you are a man of peace, therefore you should discuss this shocking revelation, as this makes Iran complicit in terrorism? You should immediately order highest investigation in this matter. Pakistan wants peace and friendship with all. @NAJEEB BURKI ... Anyway we are all servants? It is very difficult to stand in front of severe pressure of USA and KSA. Terrorists have attacked and killed hundreds of Shia’s in Quetta and other parts of Baluchistan. It is highly unlikely that Iran would fund and support RAW agents killing Shias. Pakistan has two friendly countries that can be relied upon. China and Iran. Pakistan should not issue such statements about discussion with Iranian President about RAW and put him in a bad position. Be smart, some things have to be kept secret, you do not have to publish every details of the discussion. These are NOT rumours, this is an open reality!!! You MUST stop Indians coming to Pakistan through your land...very simple..
“Whenever Iran comes closer to Pakistan such rumours are spread.” Who spreads such rumours to sabotage Pak Iran relationship? @Zak If it was discussed in secret closed door meetings then how do you know about it? The issue is simple! Iran does NOT want to get involved in this. They have good relations with both India and Pakistan. @Mehtab, How about when a spy has a valid Iranian visa on his passport?? India always had speculations about Pakistani agencies but we are showing a solid visible proof, also accepted by Indian FO.. Right demand at wrong time. Pakistan should have refrained from rasing this issue at this time. Everyone is trying to build good realtions with Iran and Pak should put more emphasis on energy problems as Iran has lot of Gas and oil reserves and they can help Pak in coming out of this crisis. Where is our civilian leadership?? Where is the outspoken Mr. Parvez Rashid now?? If I have to choose between our Pak Army and Iranian President Hassan Rouhani's words, I will choose our beloved and the trustworthy Pak Army. Enough said. Iran has rejected the claim that COAS discussed the RAW's issue with him, but ISPR insists on such discussion. Who to believe as both are top brasses of the governments. @ZAK Yes, We cant force other countries to change their policies , we have to ensure tight border control . Pakistan needs to establish good relations with India and accept the ground reality that India is the largest country in the region. @Zak Not very smart to allow RAW to use their territory in the first place. @Zak I dont think anything substantial will be achieved until it hurts Iran's interests. Clear denial means that Iran has not taken the issue seriously or there are holes in the Pakistani story. Ironically Pakistan does not have Foreign Minister in the country. We have shown the world that how much fool we are. If there were any discussions or not with Iran about RAW involvement in Pakistan, it should have only been talked about in joint press conference or Iranian consent should have been taken about its disclosure. Now, it is quite any ugly situation on diplomatic front. Well, that is what is likely to happen when foreign ministry is to be run by novices. @Nadeem - His job is to speak against one party only. Most countries don't have information ministers. We have a minister where its not need and don't have one where its needed - nepotism at best! @TZaman who cares if they are not with us we should not care for how big market Iran is or not. The world is much bigger then Iran let them go stand with India and we will stand with who are not standing with IRAN. @Changez_Khan Iran wants all the help it can get and including India which is the biggest buyer of oil, so we should understand Iran's sensitivities and act accordingly. @Jabeen After Iranian revolution Pak-Iran relations took big turn..and Iran doesn't want gawadar port to develop. India is also against CPEC. It is good constructive meeting between Pakistan and Iran, this the way to go between Muslim nations and neighbors. This also brings out very close and cordial relations between civilian government and military while dealing international matters. @Nadeem he has a valid Pakistani visa as well. Iranian President said "Pakistan’s security is Iran’s security and its economic stability means economic stability of Iran.” The president said Iran is ready to cooperate with Pakistan in gas and oil sectors, adding Iran values ties with Pakistan. Iran has great friendship with India. We must know this fact and forget any help from there. Please do not consider Iran as a dear friend as time has changed many things. Our policies have left us with no friends including middle east countries as they are more cringed to India. @General Asim Bajwa, twitter is not the best way to discuss important foreign policy. Be thoughtful and detailed on aspirations and reasons. Pakistan clean bold by Rouhani or is it Pakistan clean bold itself? Give Indian consular access to Kulbhushan Yadav, to find out from where he was picked up, and how he landed in Baluchistan, so that it can be clarified. India has promised everything to India and they have strong stable relations and to tilt the balance towards Pakistan wont be easy. Iran is India's friend. No surprise. If Iranian President says RAW was not discussed they who was Gen Raheel discussing RAW with? It is becoming curiouser and curiouser! Indian spy has been caught red handed entering Pakistan from Iran with a valid Iranian visa. Before that, notorious Uzair baluch was given Iranian citizenship. These are no fairy tail stories. Iran must understand that side stepping these major security issues concerning Pakistan will not move things towards positive environment. This will actually fuel suspicions inside Pakistan as to what are the Iranian motives. No one at the moment directly accusing Iran but if Iran show similar non seriousness, things may turn from bad to worse. If Iranian territory has been used against Pakistan in past, the first step would be to acknowledge it on Iranian part and ensure it won't happen again. Once again dreaming that you are China.Lol. All is Saudi orchestra propaganda , No need to worry. Yet another attention seeking exercise gone in futility. Hehe !!! He told you over phone. Iran will never do anything which upset India...You know exactly why !!!! @Bahubali Market? India imports crude oil from Iran and exports pharmaceuticals, processed oil, machinery, software, etc. all value added products. So who is whose market. @Mehtab Iran must stop the use of its territory against Pakistan. Please think beyond sectarian lines for the sake of Pakistan. @Zak All hail the Iranian spokesperson Zak! I'm sure Iran respects Pakistan's leaders more than Putin. Especially since Iran is glad to develop relationship with a Saudi allied Pakistan. Iran only cares about money, and Pakistan is willing to spend lots of it to meet its energy demands. I'd call that pathetic at best. India is solidly a Western lackey and Iranians know it. Iranian are too smart to be fooled like the Soviet leadership for you to play on both sides of the wicket. When Rouhani gets there you will find out the difference between an old society and an old civilization. thats exactly what they said to do, create "gossip" when iran and pakistan are connected.. According to the report above either the President of Iran or General Raheel Sharif of Pakistan is lying. Forget keeping secret or not secret - it is makes no difference to facts and diplomacy. As I can see General Shareef is a man of courage and integrity. The rest is clear to everybody. Let Iran be in the lap of India; we don't need such friends or neighbours. Mr. President: Thanks to be our guest and acting diplomatic on our problems. Thanks to be supportive to everyone, including our enemies. @Hamoodur rehman Not only that Pakistan must accept that they are fomenting terrorism for a very long period.. Civilian government invited and military power raising non issues. Now days involving Iran in any issue or scandal is great business with billion dollar payments. Iran can only solve power energy crisis of Pakistan and willing too. On Indian News channel(Times now) , I saw the news anchor and the Indian guests laughing at spying allegations and blaming Pakistan for all the mess in Balochistan. “Whenever Iran comes closer to Pakistan such rumours are spread.” every Pakistani should ponder about this. Who are those people, and what are their intentions? I hope for better relations with Iran, but it's worrying to see disagreements even before Rouhani has left the country. If it's his word against Raheel Shareef's, though, I will place my trust in the COAS. 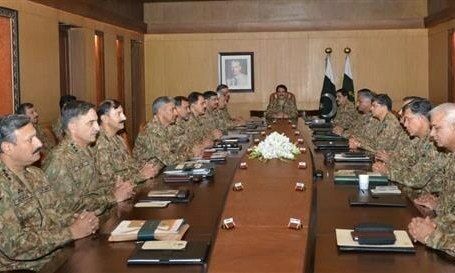 The Army Chief of Pakistan Gen Shareef is a busy man and a go-getter. He wont waste time with a leader talking about pistachios and rugs. Obviously security matters were brought up, such as border security and enforcement as well as strategic matters. Obviously he would have brought up concerns about RAW and it's nefarious agenda. @Vectra He meant the discussion between ISPR and Rouhani and not Rouhani's statement. @Ahmed Hanif no no no this was an unplanned trip of Iranian president. Clearly there is something. @smash Pakistan has always protected Iran. If USA could use pakistani land for Afghanistan it could have used it at that time for iran as well. Iran develops a lot of its defence technology with the help of Pakistan. Its an unspoken friendship. @Shah you agree what will b public statement and Iran changed theirs after leaving. Why are we complaining to iran? Can't we handle it? Iran is a great ally of India.How they can discuss these matters without any evidence?More over India is the big importer of petroleum from Iran.They never want to loose their business,nothing more? @Zeeshan first see ISPR tweet. Second, for Iran , pakistan has a border with it, cultural, religious and historical affinity. That's why it is far more important than india. Already Chabbar port has been offered to Pakistan. @Punjabi Ludhiana That's why they caught that 'top' spy! Let us address the concerns of the people of Baluchistan first before pointing our fingers on others. Pakistan's utter diplomacy failure! They made a laughing stock of themselves! Wrong ideas at the wrong time! @naxalite India is the only country which has petro-refineries to refine the hard and dirty crude that Iran drills. Not many people know that the oil extracted by Iran first comes to India whose refineries refine it and refined oil is sent back to Iran. Political and irrelevant statements from DGISPR at this sensitive time seems quite irresponsible. @Jabeen, That was Shah's Iran but today it is altogether a different entity. Shah's Iran did not do us a favor either, as he did all that being in the American camp as we were very close to USA and India was in the Russian block. Shah did what was he told to do by our common masters. Irespective of all our claims about the issues on security comparatives of both the countries, it is the prospects of trade and culture that have righty been pointed out. Increasing 2000 MWs in few months at this juncture of histroy is pleasing each one beside basking in view of a continous suply of cheap natural gas from the brotherly country Iran. We all hope our government will soon complete the infrastructure on an earlier period so as to kick strat the project. @dipak , And that was proven wrong in an Indian court right? @Desi Dimag - We must trust our Chief period. @Horseman_IND India is also holding billions of Iran's money! India showed what true friendship is during the sanctions. Plus, Indian has a large Shia population outside Iran. Finding out where the truth lies is next to impossible, and reality is what you want to believe. Pakistani cricket team is failing in cricket tournaments and there is no accountability and we are worried about indians??? We should do self Introspection and correct the state of country. It's a shame that country is falling on all fronts, including national security and CRICKET. Iran has cleared it's position. That's enough!!!! This person is in carpet business, he has carpet store in Mumbai. 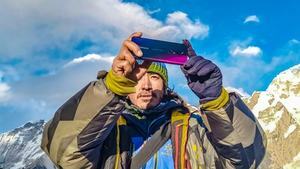 He visits many countries in past. Last time he was in Iran for business and he crossed Iran border into Balochistan for business and caught. If any Indian spy enters from Iran, we Pakistanis should give very strong warning to Iran and consider he is Iranian spy first and than Indian same goes to Afghanistan. We have weak leadership God help us. Very bold and courageous stance by Pakistan. Need to be tough to live in this world peacefully. What kind of brother country is this?? The serving Indian Naval Officer entered Pakistan on fake identity on a visa issued by the government of Iran. Pakistan's most wanted terrorist have been traveling to and fro on an Iranian Passport issued by the government of Iran. How will the Honourable President of Iran explain this? After Asia cup and world T20, Pakidtan got thrashing in world if diplomacy too. Somethings never change. It is clear the RAW meddling was never discussed in the first place. Isn't it unfortunate we always dig our own hole and blame others around us? I want us to have a good relationship with Iran. Please don't mess up. It is not a positive stance by Iran, hence should be dealt with appropriate manner. It is true since 1980 our relation with Iran is not much good as it was during shah. We are democatec country and libral then Iran and Iran is convervative . But Pakistan should respect iran and other hand iran should respect its neighbouring countries. Iran should not allow its soil for terriorism. Enough is enough the iranian people suffered a lot, they are muslim and our brothers their suffering is ummah suffering. We completely trust Gen Raheel Sb that he definitely took the matter up with rohani, and the denial of Dr. rohani has left us with further distrust on the iranian leadership. iranian leadership doesn't want a cordial relationship with Pakistan on the price of relationship with India. @Syed Zafar Kazmi U.S.A the announcement was not made through Foriegn office, but from the office of DG ISPR. pls correct your record... and we completely trust COAS more than Iranian President. We are jumping to the conclusion too soon on the person apprehended. Accordingly to Indian media, he was a merchant with trade links in Iran and was picked up from sea waters, which we Indians would blike to believe. An independent enquiry should reveal the truth and we will have ample time displaying our patriotism based on the emerging facts. Pakistan's position should be the same with Iran as with Saudi Arabia: all cooperation, support and brotherly relation but no action is acceptable which which destabilizes Pakistan. Iran should reassure Pakistan against the specific incident and not just deny it to state that security is affected from people crossing over from Pakistan. @Sunil so he can give you the infomation whether work was done or not? "During the meetings, he said, the two sides held wide ranging discussions for cooperation in the areas of trade, economy and energy as well as the regional and international issues of mutual interest." I guess 'regional' issues must be Indian tourists visiting Iran and ending up in Pakistan. Using Iranian soil to damage Pakistan, and Pakistani soil to damage Iran. The leaders of the two countries must take steps to end this duplicity and unite together to banish their real common enemy, the western agencies. Indians have lot of investment in Iran they are making the southern port and also constructing a road to Afghanistan through Iran. Theway the spy case handelled by Pakistani media was nor right. One has to be diplomatic in such issues. It is so confusing, Iran is our brother and neighbor but India is their big economic partner, India is going beyond their economic interest and using Iran's land to weaken Pakistan. Iran has supposedly supported Pakistan in 1965 war, have they given up on us (Pakistan) or is it their new Policy after Shah? In 1965, Pakistan and Iran were part of same (US) block, not sure if that was brotherly support or just due to fact that we were on same side. Now middle east situation is different, now may be this brotherly relationship are no longer that brotherly. May be, who knows, time will tell. President Rouhani could have said that this is sensitive matter and can't be discussed on a public platform, instead outright deny of having any discussion. Or could have said waiting for official reference to be filed. The President Rouhani video clearly says that Pakistan they have brotherly relations where as with India they have good relation, where as another major Karachi newspaper mis quoted by printing Iran has brotherly relation with both countries. We all including leaders have to be very careful in making statements or journalistic reporting as it creates confusion and mistrust. @Mustafa R. No one is dreaming about India being equal to China. He just meant Indian economy is 8 times larger than Pakistan's. There is no doubt that the matter was discussed but Iran's denial reveals two important aspects, One Iran does not want to spoil her relations with India, secondly Iran is in knowledge of activities being carried out by RAW using Iranian territory. @Ghazi Balooch "Political and irrelevant statements from DGISPR at this sensitive time seems quite irresponsible." Why is it irrelevant? His country has harbored and facilitated a terrorist trainer and this man does not want to even acknowledge discussing it! Iranians are praised globally for their sophistication and well manners, what happened here ? I sense arrogance by our neighbor. As one of the greatest statesman Sir Winston Churchill once said; "England has neither permanent friends nor permanent enemies - England has permanent interests". This applies in case of Iran, Afghanistan, Saudi, Israel etc. These countries couldn’t care less what happens in Pakistan, India, Palestine, Syrian Refugees as long as their own interests are preserved. Plus in our case we need oil and gas and Iranians are aware of that. Indian Naval Commander Yadav carried a passport with changed name and religion? Indian government would "not" issue a passport to any person without verifying documentation. Indian government issued him a passport with fake name and religion, as he was sent on a clandestine mission to Iran for conducting terrorism in Pakistan? He has divulged all the details. This is India's state-sponsored terrorism. India is also using Afghanistan's territory to conduct terrorism in Pakistan as there is no justification to operate half a dozen consulates bordering Pakistan? A big blow to the current leadership in Islamabad. @khanm You mean PTI or PPP, it has nothing to do with leadership. The fact is nobody likes a country with an Islamic bomb. The only friend Pakistan has is China. Economics is new order of the world Gone are the days when one Islamic country would run for other to help in any situation.